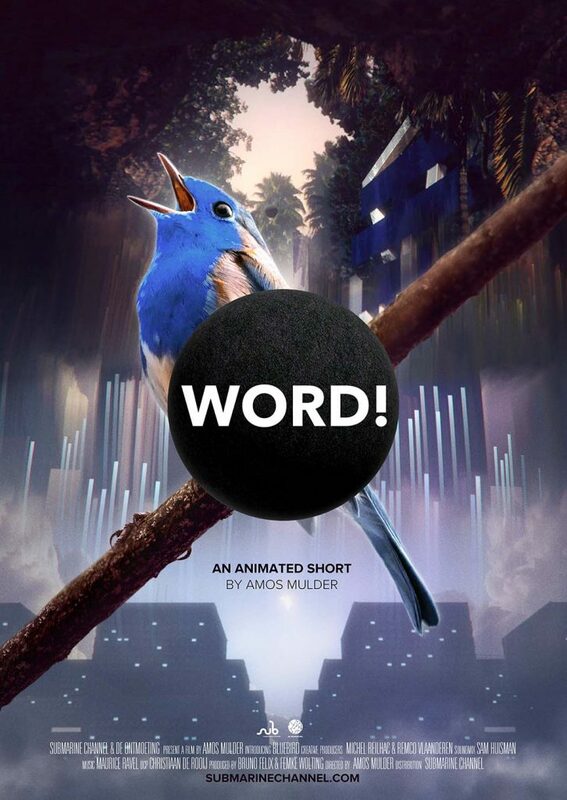 Submarine Channel produced Amos Mulders animated short WORD! – a visual exploration of language in an alternate, post-factual universe. Quotes in the form of tweets by famous philosophers and writers appear throughout the film. Between the evocative urban scenarios that unfold, the viewer is invited on a seven-minute cinematic journey that interrogates our indissoluble relationship with words. The film will be touring festivals in 2017 and 2018 and is will be released online in 2019. WORD! is strangely disturbing and haunting in the way that it short-circuits the reasonable mind and taps directly into subliminal feelings of a post human dimension where words are like weird entities, either weapons or autonomous beings. The images are hypnotic, the never seen atmosphere is mesmerizing. It is a true rare creation in the sense of something never attempted before. Watch Amos’ previous short films on Vimeo. De Ontmoeting is a Dutch initiative that connects upcoming directors with the film industry in The Netherlands. In 2016, an open call for short film proposals resulted in over 80 submissions. Four production studios and broadcasters, including Submarine Channel, each selected their one project from the submissions. Selected projects received 5,000 euros from their respective producers, provided the creators manage to successfully crowdfund an additional 5k or more themselves through the Cinecrowd platform. All four short films premiered in September 2017 at the Netherlands Film Festival.